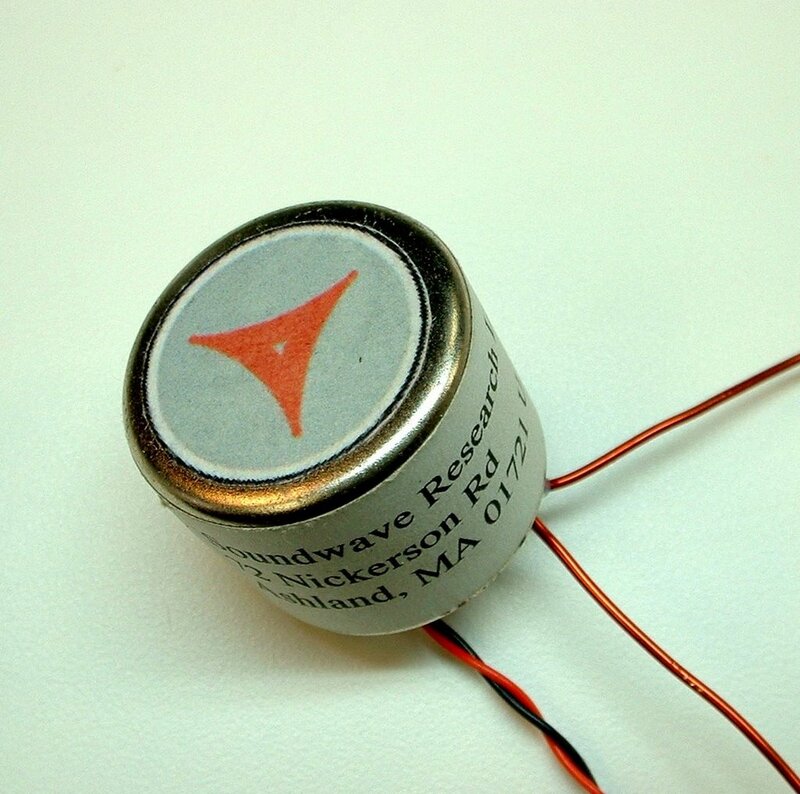 The Naked Eye is a unique dual-voice passive ribbon microphone. The name is derived from the design goal of having the microphone be “open to incoming sound, without excess layers of cloth or protection” which can muffle and distort sound. The design won a ProAudioReview PAR Excellence Award in 2006. The two voices in the Naked Eye were modeled on the sounds of two of the company’s earlier ribbon microphones, the Proscenium and the Studio Vocalist. They were achieved not simply by offsetting the ribbon toward the front or rear of the microphone, as is done in the Royer R-121, but rather by tuning the acoustic impedance of the incoming soundwaves. This “impedance gradient” was realized through a combination of material selection and construction techniques. 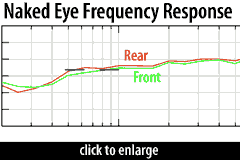 A graph showing the frequency response of the front and rear demonstrates the effect. The differences are not subtle. 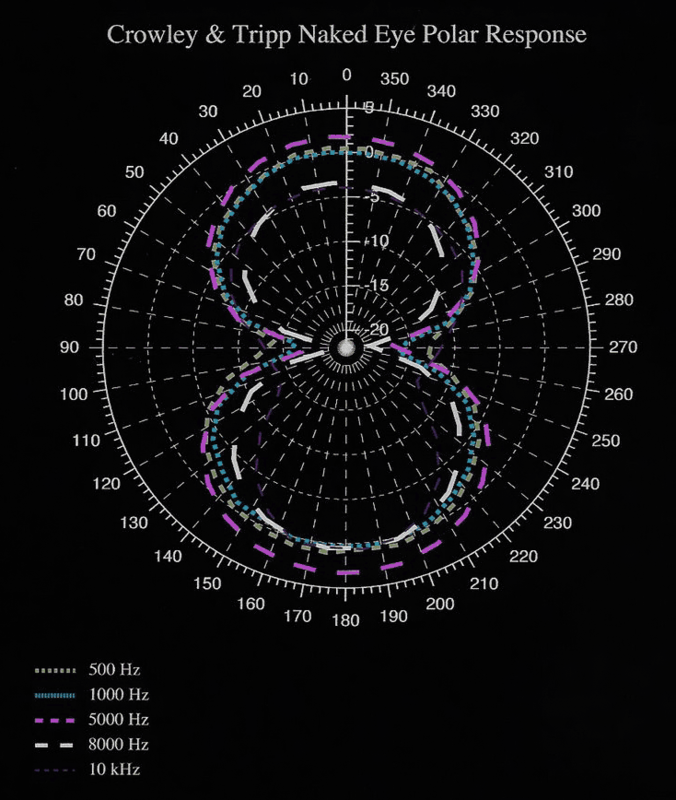 The two frequency plots track fairly closely from 80Hz–3000Hz, but vary widely above and below. See also the polar graph. 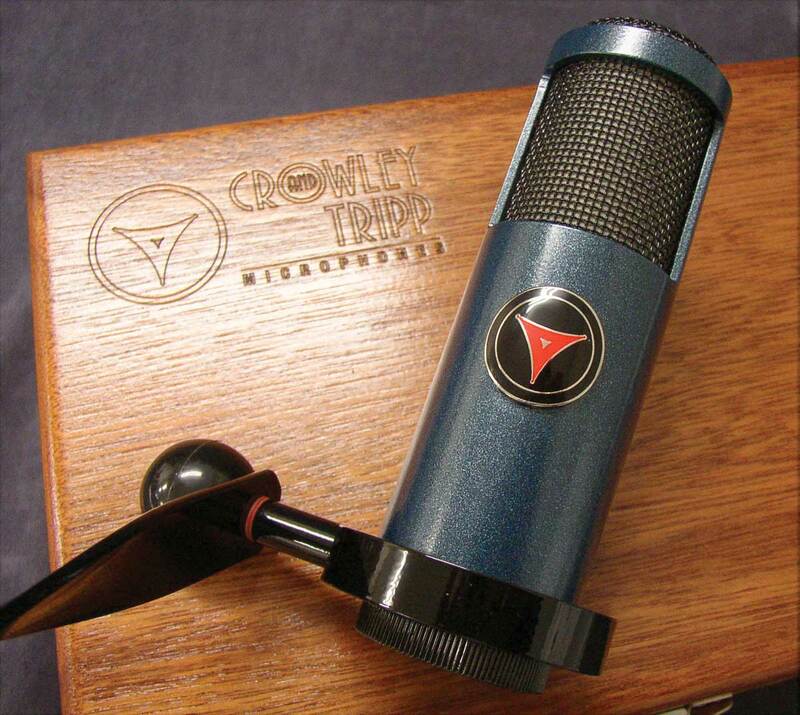 Aluminum has been the choice for making ribbon microphone elements since day one. For small excursion, low intensity sound applications, aluminum worked out fairly well… Better alloys and mic designs nearly doubled the effective durability of ribbon mics. The Crowley and Tripp Naked Eye Standard is one such example of a higher strength aluminum ribbon that has been successful. 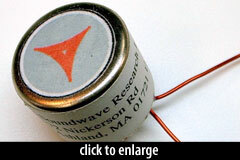 The output transformer was a low-noise, high-efficiency, double-shielded design tuned specifically for the Naked Eye. The Naked Eye shipped in a padded wooden storage case with a “low diffraction rotary mount,” aka the “monacle” stand mount. 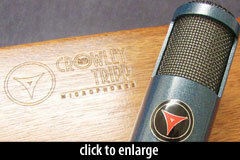 The product line was sold to Shure in 2009, and the Crowley and Tripp microphone line was officially retired on June 24, 2009. Though I typically use large-diaphragm condensers for voice-over work, I gave the Naked Eye a shot… and was happy with the results. The talent was a female alto… I had expected the Naked Eye’s brighter voicing to be the one we would use, but I found it a bit harsh and sibilant. [T]he darker side gave us everything we needed. The resulting audio was clean, tight, and neutral. The Crowley and Tripp Naked Eye is also known as: Naked Eye Classic. Frequency Response - Bidirectional (Front of ribbon)Click Graph to Compare! Frequency Response - Bidirectional (Rear of ribbon)Click Graph to Compare!